Platts reported this week that Venezuela has already warned eight international customers that it wouldn’t be able to meet its crude oil commitments to them in June. Venezuela’s state oil company PDVSA is contractually obligated to supply 1.495 million barrels per day to those customers in June, but only has 694,000 barrels per day available for export. Related: Can Saudi Arabia Prevent The Next Oil Shock? Impacted U.S. oil companies reportedly include Chevron, “Conoco” and Valero. I suspect “Conoco” is really Phillips 66, the refining arm spun out of ConocoPhillips in 2012. Venezuela also reportedly has a severe backlog of crude deliveries at its main terminals, and this could temporarily halt PDVSA’s supply contracts if they are not cleared soon. The company has told some customers it may declare force majeure if they do not accept new delivery terms, including higher-cost and riskier seaborne transfers. Brent crude prices moved higher on the news. 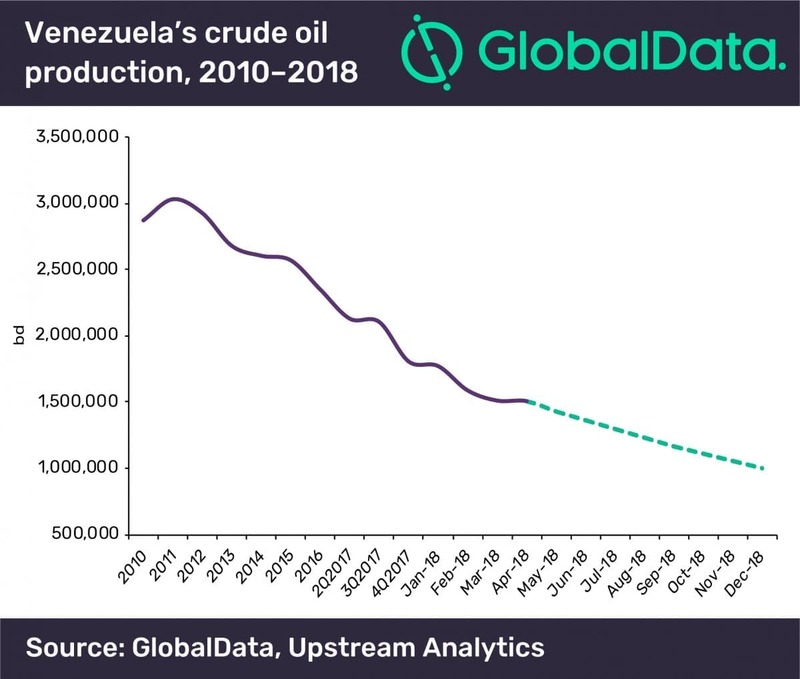 But if the GlobalData forecast is correct, then the temporary interruption of Venezuela’s exports may be permanent, as they will be plunging toward zero by the end of the year. Did OPEC Need To Cut Oil Output At All? After President Trump balances trade Germany won't need any gas.